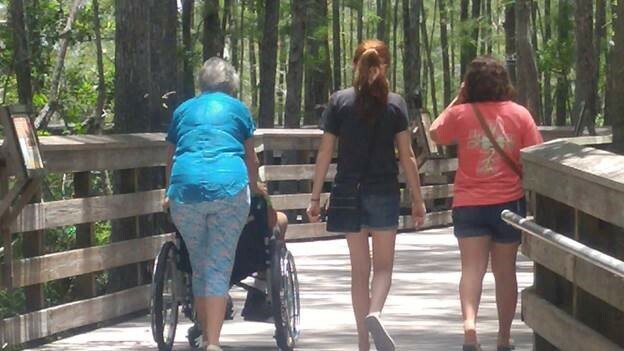 Wheelchairs are now available upon request at Grassy Waters Preserve Nature Center. Through the IBIS Foundation Charities, the Grassy Waters Conservancy received a grant to purchase two wheelchairs designed to provide greater access to the trail system in Grassy Waters. To reserve a wheelchair in advance of your visit, contact the Center at 561-804-4985.